“Excuse me sir, is that the monster?” asked the overweight, middle-aged, guy standing next to me. “What do you mean? Don’t you even recognize Godzilla?” I asked him. 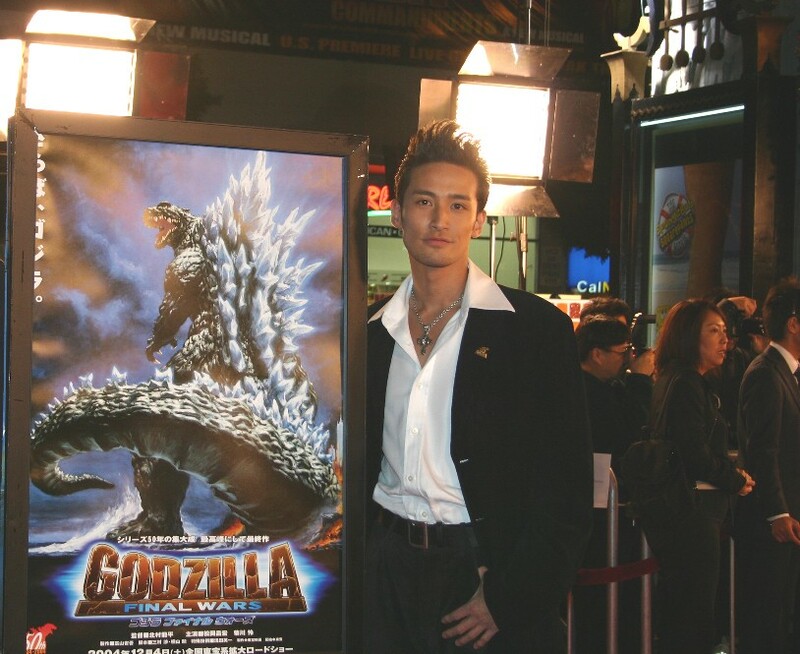 It was Monday, November 29th, and I was waiting outside of the world-famous Grauman’s Chinese Theater, in Hollywood, California for the premiere of Godzilla Final Wars. The man-in-the-rubber-suit had just made an appearance and was stomping up and down the red carpet, hamming it up for the crowd. “I thought he was as tall as a building” the tourist responded. The fan seemed somewhat disappointed to discover that in reality Godzilla was only about 5ft tall. The guy had flown in all the way from Italy to participate in the event, and didn’t seem amused. (I’m not kidding, folks. This really happened.) He had come to the ceremony truly expecting to see the ‘King of Monsters’ step over the building and smash his extra-large footprints down into the cement outside the famous theater, alongside the likes of those made by Groucho Marx and Shirley Temple. "There's a lot of passionate Godzilla fans," I thought to myself. Only a few hours earlier, the Los Angeles Board of Supervisors had proclaimed November to be the “Month of Godzilla,” during a star unveiling for the monster at the Hollywood Walk of Fame. The crowd cheered wildly, and nobody seemed to notice that there was only one more day left in “Godzilla month.” Everyone had a great time and Godzilla soon found himself riding in the city’s holiday parade, and the star attraction at the premiere later that night. 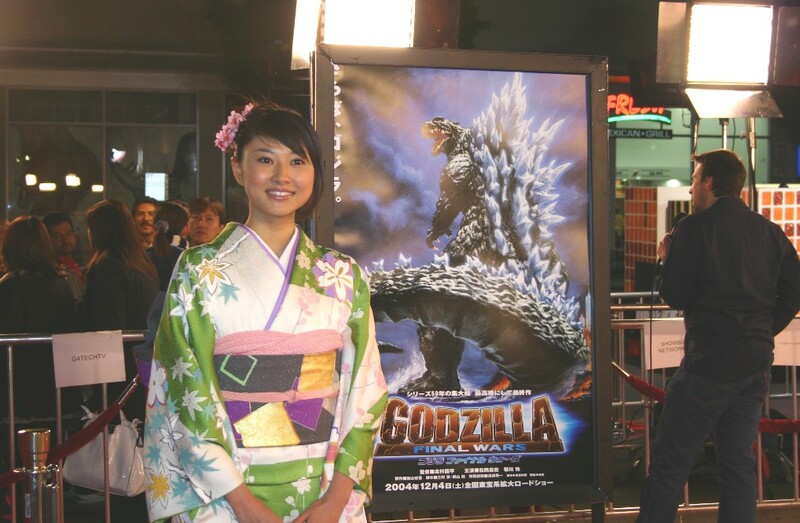 Godzilla walked up and down the red carpet, steam blasting out of his mouth, showing off for the international group of reporters and fans that had gathered for what was being promoted as “his final film appearance” -- for at least the next ten years (wink, wink). The perpetually angry godzillasaurus had been in 28 movies, fought 25 times and won 18 bouts. Not such a bad record. Unfortunately, poor theatrical returns had finally knocked the radioactive wind out of our favorite giant. The premiere of this new film would mark the 50th Anniversary of the monster. The year-long celebration was finally coming to an end. Toho Pictures biggest and most highly anticipated Godzilla film ever, Godzilla Final Wars, was about to open. 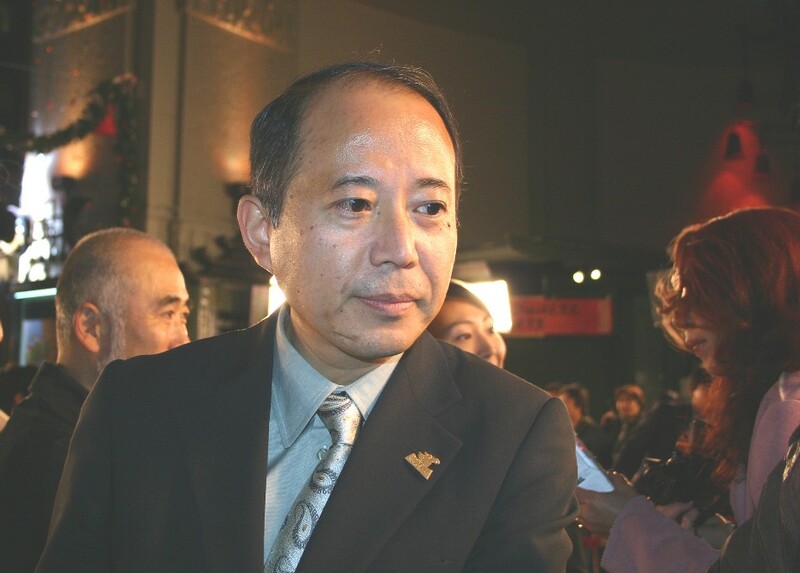 Shogo Tomiyama is the legendary producer of several Godzilla films. Following the death of Godzilla’s original creator, Ishirô Honda, the responsibility of developing the series fell to Tomiyama. 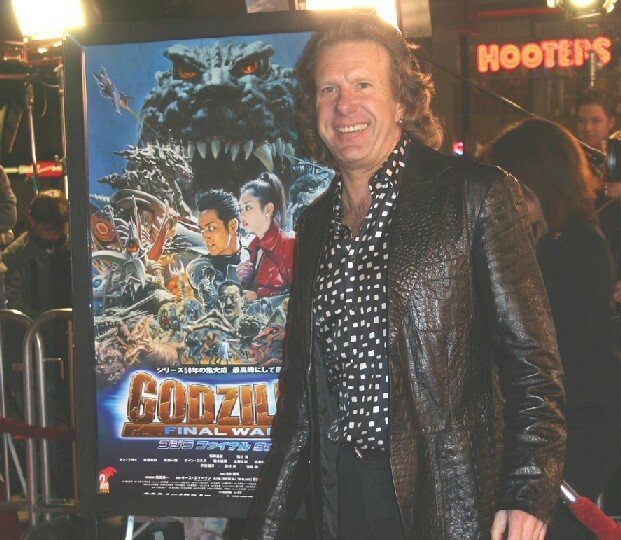 His films include Godzilla: Tokyo S.O.S. (2003), Godzilla X Mechagodzilla (2002), GMK (2001), Godzilla 2000 (2000), and Mothra (1996). Ryuhei Kitamura is the director of Godzilla Final Wars. He has become somewhat of a world-wide cult figure after the success of his zombie-samurai flick Versus (2000). Kitamura’s films include the horror movie Down to Hell (2003), Verses (2000), and the action-fantasy film, Azumi (2003). The selection of Kitamura to direct this huge project was somewhat unusual for the studio. Toho Pictures is a tight knit family and they almost always use directors that have come up through the ranks of the studio, but this time Tomiyama decided to bring in an outsider to reshape the franchise. There are a lot of expectations riding on Kitamura’s shoulders. PENNY BLOOD: Welcome to the USA. PENNY BLOOD: Why don’t we ever see Godzilla eating people? PENNY BLOOD: I mean, in the original Godzilla movie, the monster’s natural supply of food has been diminished by nuclear testing in the Pacific. He leaves the depths of the ocean to head towards Japan in search of livestock to eat, right? Yet, we never see him eating anything! Did you ever consider letting Godzilla eat people? RYUHEI KITAMURA: When I first met the producers they were gathering all kinds of ideas and hadn’t yet decided what kind of Godzilla movie they wanted to make. I gave them three or four ideas of my own, and in one of them my Godzilla was eating people. I had a scene where he grabs a train, tips it up, and empties the passengers out into his mouth. Shogo didn’t respond to my suggestions. (LAUGHS) I don’t think he liked that idea very much. SHOGO TOMIYAMA: Godzilla doesn’t want to destroy human bodies. He wants to destroy human civilization. It’s true that originally Godzilla did come to Japan to eat livestock, but Toho Pictures soon realized that they’d have to reconsider how Godzilla existed if they were going to expand the film into a series. The company needed to decide whether Godzilla was a living breathing creature, or something else. The decision was made to make Godzilla something else. He was much more than just a large creature that went around eating livestock. PENNY BLOOD: So you’re saying he’s God-like? SHOGO TOMIYAMA: Closer to that, yes. Godzilla is closer to being a God. He’s not just a living animal or a monster. PENNY BLOOD: That’s why the Japanese refer to Godzilla as a “kaiju” instead of a monster? He’s more of a mystical creature. Then would you consider Godzilla to be a good or bad God? SHOGO TOMIYAMA: The fact is that humans cannot control or judge the Gods. They have their own will. They have their own way. In Japan there are many Gods. There is a God of Destruction. He totally destroys everything and then there is a rebirth. Something new and fresh can begin. Godzilla is closer to being that kind of God. PENNY BLOOD: You were quoted as saying, “that you renamed Hollywood’s 1998 version of the monster ‘Zilla’ because they took the God out of Godzilla.” When I read that quote, I interpreted it to be a slam against Hollywood’s Godzilla (1998.) I’m getting the impression now that your statement was referring to the “spiritual interpretation” of Godzilla in Japan verses Hollywood’s “monster interpretation.” It really wasn’t meant as a putdown. Is that correct? SHOGO TOMIYAMA: Yes, because Hollywood’s Godzilla is just a normal monster He’s not a God. Hollywood treated Godzilla as a live monster or live animal. They shot him down with missiles and all that. PENNY BLOOD: Quite a few fans hate that version of Godzilla. What did you think of the Hollywood movie? Were you disappointed with Hollywood’s interpretation of your star performer in Godzilla’98? SHOGO TOMIYAMA: No. There was always very good communication between Tokyo and Hollywood. We knew exactly how they were going to do it, and we knew what Godzilla was going to look like. So, as a movie there’s no complaining. RYUHEI KITAMURA: I liked the film. I like most of that director’s films. PENNY BLOOD: This new film is part of the ‘Millennium Series,’ but you made the decision not to continue the storyline of the last movie, Tokyo SOS. Godzilla Final Wars has a totally drop that story in favor of a different storyline. RYUHEI KITAMURA: That’s because I didn’t like the more recent Godzilla movies. I think Toho understood where I was coming from, too. The audiences for Godzilla movies were decreasing every year. Last year’s Tokyo SOS was the worst. So, Shogo knew he was missing something, and decided to bring me in. We had a first meeting and I just spoke my mind. I was really honest and told him what I thought about the Godzilla movies. I hadn’t been to the theaters in ten years. I’d seen the more recent Godzilla films on TV and didn’t like them. I mean, the last three or four Godzilla movies have been shown in the theaters together with kid’s animation. Why would anyone want to go see a Godzilla movie if it’s being shown alongside a little mouse cartoon? It seemed like the company was only making Godzilla movies for kids and the diehard Godzilla fans, not for the general audience. PENNY BLOOD: The first Godzilla was kind of scary. RYUHEI KITAMURA: Yeah, but they weren’t making films like that anymore. PENNY BLOOD: So what was your new approach to Godzilla? RYUHEI KITAMURA: I told the producers, “I don’t like the way Godzilla movies look. They’re too bright. There’s too much light on Godzilla. He looks like a man-in-a-suit. The set looks like miniatures. If you’re going to film miniatures, they have to look real. PENNY BLOOD: So, how did you shoot it? RYUHEI KITAMURA: More power and more speed. This film is going to be like an Ultimate Championship Fight. I wanted to make the monsters fight like that. Punching, weaving, and using the elbows. SHOGO TOMIYAMA: Ryuhei had a point. He wanted Godzilla to move faster but remain big and intimidating at the same time. PENNY BLOOD: (To RYUHEI KITAMURA) I know that the Godzilla fans are very particular about every minor detail concerning the look and character of Godzilla. Did the studio present you with a list of character traits that you had to stick with, or were you able to pretty much do what you wanted in this film? PENNY BLOOD: A lot of the filmmakers involved with Godzilla worked their way up through the ranks at Toho Pictures. Here you are, a new guy coming in from the outside, and you end up directing the biggest Godzilla film the studio had ever done. Did you feel any resentment from the older filmmakers? RYUHEI KITAMURA: No, not at all. 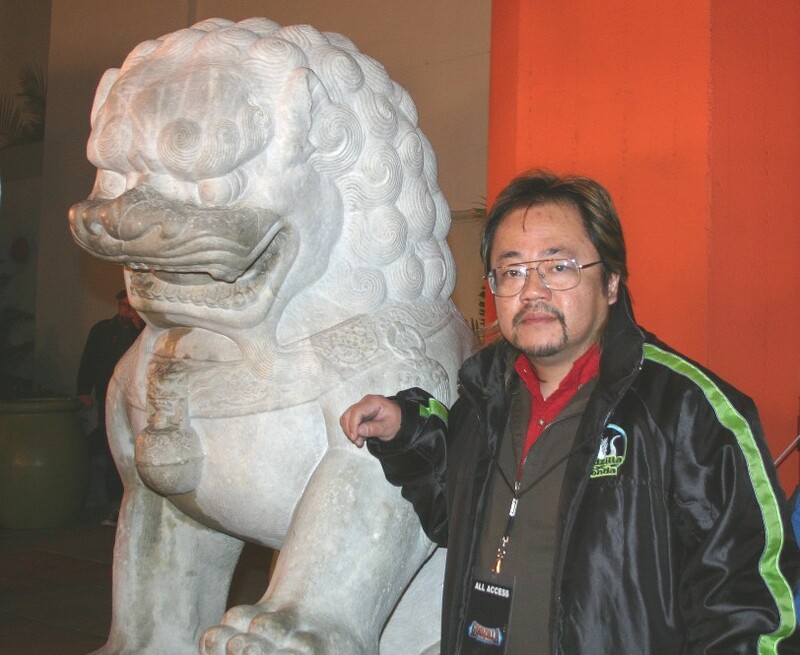 The Special Effects Director, Eiichi Asada, knows everything about Godzilla. My favorite Godzilla is 1974’s Godzilla vs. Mechagodzilla. 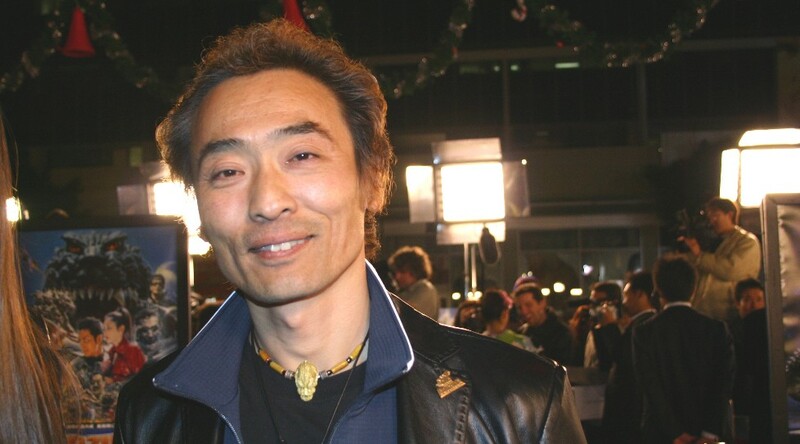 Eiichi Asada was the Assistant Director on that film. He knows everything and has more experience with Godzilla then me. He was an excellent guy to work with and we got along fine. PENNY BLOOD: How do you direct a man-in-a-rubber-suit? RYUHEI KITAMURA: That’s the Special Effects Director’s job. We do it with a second unit. We’re in the same studio. He’s shooting the man-in-a-rubber-suit and the miniature stuff. I’m directing the actors and live action stuff. Eiichi Asada was such a great guy. We were talking about the movie from the beginning. He’s seen my films and knows my tastes. I made storyboards for the shooting and just gave them to him. So, everything I wanted to do is in the storyboards. He just looks at it from the technical side. He has lots of experience in special effects, so sometimes he’ll also suggest new ideas. PENNY BLOOD: How did you build the film? Did you start with the story, the monsters, or the action sequences? RYUHEI KITAMURA: The producers gave me an eight-page synopsis. Basically, the storyline was already there. It said, “Aliens attack earth using eight monsters.” So I asked “Why eight? What’s the record?” They told me, eleven. “Then we should go for a new record instead of eight!” So we decided to go with more than eleven monsters. PENNY BLOOD: What’s the final count, then? RYUHEI KITAMURA: That’s a secret. PENNY BLOOD: How did you decide which kaiju would be in the film? Why didn’t you put Mechagodzilla in the film, for instance? RYUHEI KITAMURA: It depends on what kind of story you want. Mechagodzilla just didn’t fit into the story I wanted to tell. PENNY BLOOD: Did you consider a rematch between Godzilla and King Kong? SHOGO TOMIYAMA: The rights for Kong weren’t available. PENNY BLOOD: Did you increase the size of the kaiju to fight Godzilla? RYUHEI KITAMURA: All the kaiju are about 100 meters. PENNY BLOOD: So you kept all the creatures about the same size? PENNY BLOOD: Did you play with that scale during production? How seriously did you calculate the scale of the monsters when you’re filming and building the miniatures? RYUHEI KITAMURA: No, we filmed whatever looked good. That kind of exacting detail makes a movie boring. That’s the type of thing only Godzilla freaks think about. PENNY BLOOD: (To RYUHEI KITAMURA) I heard there’s a rumor circulating that Quentin Tarantino and Robert Rodriguez will be producing your new movie. Is there any truth to that rumor? RYUHEI KITAMURA: No. I don’t know where that rumor started from. PENNY BLOOD: (To RYUHEI KITAMURA) Will we ever see a sequel to your cult zombie flick, Verses? RYUHEI KITAMURA: They’re keeping me busy, but yes, I want to do it eventually. I’m sure I’ll do it in the near future, but I don’t know when. PENNY BLOOD: (To RYUHEI KITAMURA) Do you plan on staying with monster movies and fantasy films? PENNY BLOOD: I heard that there were some famous non-Japanese directors that wanted to do a Godzilla film. Is there any truth to those rumors? SHOGO TOMIYAMA: There have never been any direct talks with any of these directors. We are aware that some well-known filmmakers have expressed interests in directing a film. These young filmmakers grew up with Godzilla movies. I’m sure there are many directors that would like to do a kaiju movie. PENNY BLOOD: You’ve said Toho is going to retire Godzilla after this film for ten years. What would happen if another studio came along and they wanted to produce their own version of Godzilla? Could that still be an option? SHOGO TOMIYAMA: If a better story comes along that tops Godzilla Final Wars, and some other studio besides Toho wanted to consider producing the film? Then we might consider it. PENNY BLOOD: Hey, I’ve got a great idea for a Godzilla movie! SHOGO TOMIYAMA: (LAUGHS) There are as many ideas for Godzilla movies as there are fans! PENNY BLOOD: One last question, who would you consider Godzilla’s most dangerous adversary? SHOGO TOMIYAMA: Right now? I’d say, Pikachu. Hopefully, Godzilla’s new film will finally win the hearts of children back from his most dangerous advisory ever: Pokémon. Producer Shogo Tomiyama walks the red carpet.